Onlooker To Faraday Future Prototype: “Is That The Model 3?" Like pretty much every other carmaker, Faraday Future tests their pre-production mules out on city roads, where they can be in full view of the public. 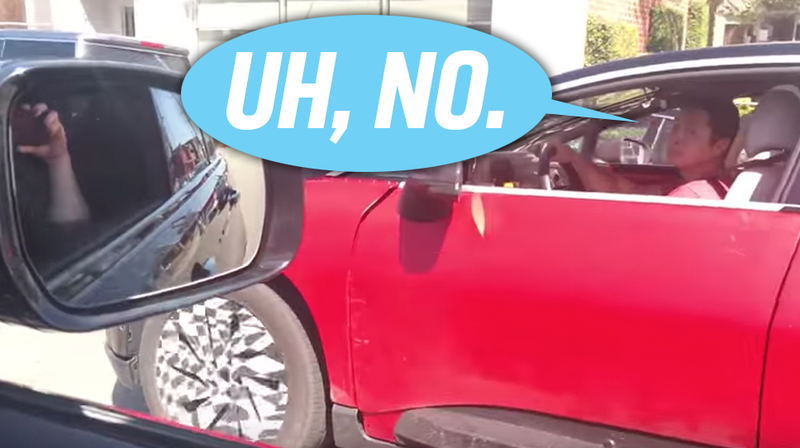 Two members of the public saw this Faraday Future FF 91 mule out for a drive in Los Angeles (right by Trashy Lingerie, even), and their reaction was one that will make Faraday Future marketing people weep a little bit at their desks today. “Is that a Model 3?” The test driver–assuming he’s not an android with a lower body composed of wires and pneumatic tubes–gamely laughs it off, but you know, deep inside, this has to hurt. "Faraday who? Never heard of it." How Many People Really Paid To Reserve A Faraday Future Car?